BCRRE and Porterbrook signed a memorandum of understanding formalising the partnership at InnoTrans. Photo: Porterbrook. Rolling stock operating company Porterbrook and the University of Birmingham’s Centre for Railway Research and Education (BCRRE) are working together to create the UK’s first hydrogen-powered train. The train, known as ‘HydroFlex’, will see one of Porterbrook’s Class 319s converted by rail researchers from BCRRE. It will retain the ability to operate across electric routes and will also be capable of operating in self-powered mode, without the need for diesel engines, thanks to the addition of a hydrogen fuel-cell. Development work has recently begun and HydroFlex will undertake testing and demonstration runs in summer 2019. BCRRE, the largest university-based centre for railway research and education in Europe, has already undertaken a significant amount of research into the potential application of hydrogen fuel cell technology to railway operations. HydroFlex isn’t the only project to develop a hydrogen-powered train for the UK. Alstom is working with Eversholt Rail to convert Class 321 electric trains to hydrogen operation. The Class 769 Bi-Mode will be operated on Northern and KeliosAmey Wales. And the Tri-Mode Class 769 for Great Western Railway. 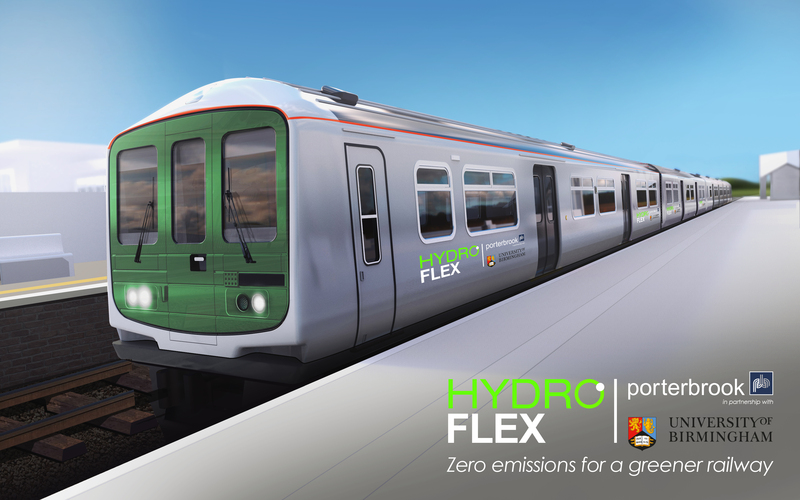 Plus with Class 321 EMUs to be converted into “Hydrogen” Flex Class 321 or reclassified as Class 7xx.